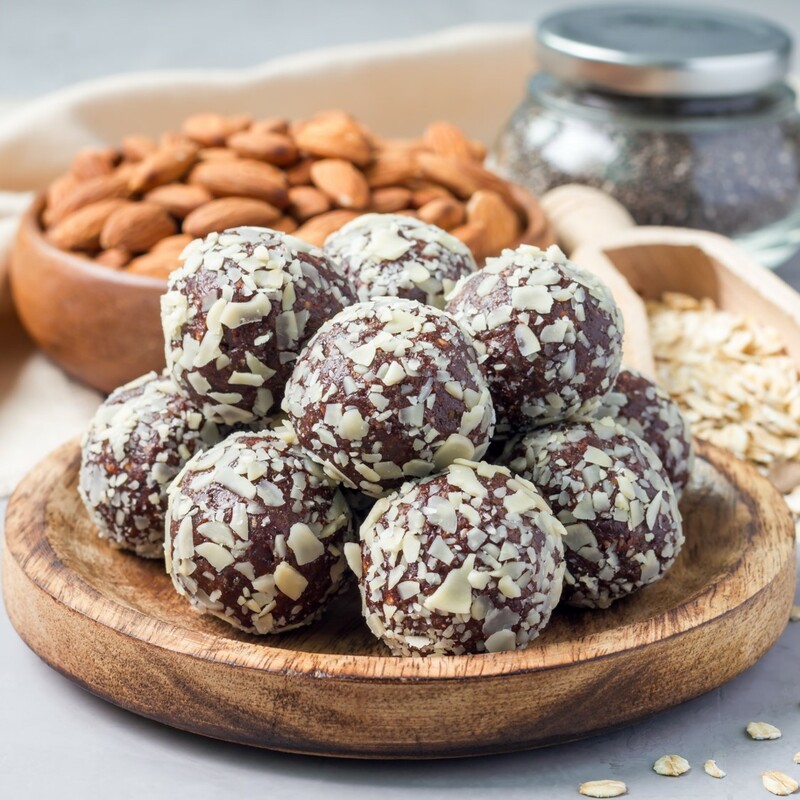 Enjoying healthy snacks on the go can be tricky, so why not spend a few minutes making a batch of protein balls to enjoy out on the road or before you go training. Mix all the ingredients together in a bowl until well combined. Divide into eight equal portions and roll into balls between the palms of your hands. Sprinkle some extra coconut in a shallow bowl and roll the balls in it. Chill until ready to eat. Store in an airtight container in the fridge for up to five days. Tip: To mix place all ingredients in high power blender.